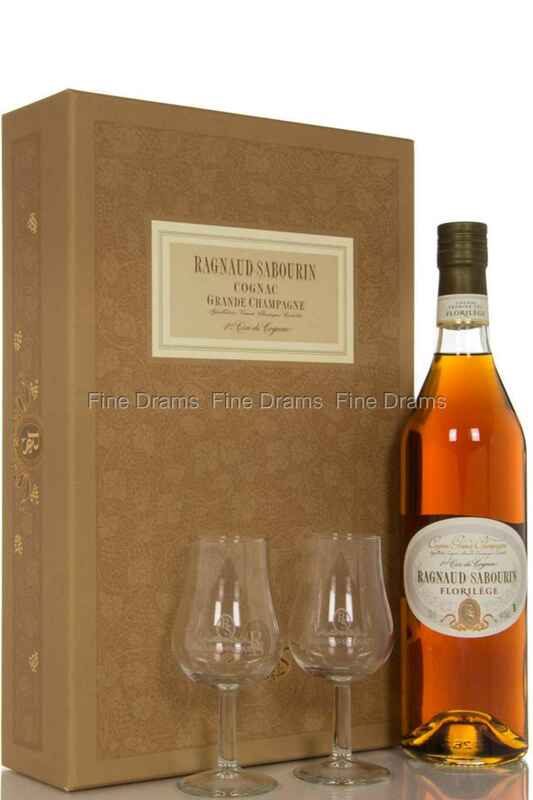 Another stellar Cognac from Ragnaud Sabourin, a Cognac estate which continues to be family owned and can trace its history back to 1850. Florilege means “Anthology” a fitting name for a cognac which is a true work of poetry, and documents the distillery’s history. This bottling has been long aged in French oak casks, and is entirely produced from grapes grown in the Grand Champagne premier cru. On the nose this cognac offers up classic Grand Champagne aromas of toffee, grapes, oak and “rancio”. The palate brings dense of flavours of oak paneling, accompanied by light toasted spices, a slight drying grape and thick, dried fruit notes. The finish is very long indeed, with a lasting drying woodspice and a thick toffee note. A tremendous Cognac that has benefitted from being bottled at 46% ABV. This bottle comes in a gift set with two charming stemmed glasses, and would make the perfect present for any Cognac drinker!